• Ongoing monitoring of all pumps and equipment related to your drinking water and wastewater system. • Filing all reports and ensuring compliance with the Missouri Department of Natural Resources (DNR). • Comprehensive plant and pump station operation and maintenance, including the ability to make all necessary repairs to achieve optimal reliability and compliance. • Fully trained and licensed professionals including certified operators and technicians. • 24/7 emergency response for all facilities under contract. • Prioritization of preventive maintenance. • Operations reports, including recommendations for capital improvements. • Professional representatives who have good working relationships with regulatory agencies, including the Missouri Department of Natural Resources (DNR). • Sample collection and laboratory analysis. • Line locating and leak detection. Operations and Maintenance At Lake Ozark Water & Sewer, LLC, we know what it takes to manage and maintain your drinking water and wastewater operations. Count on the experts at Lake Ozark Water & Sewer, LLC to provide all of the services necessary to keep your drinking water and wastewater facilities running at maximum efficiency and reliability. As the owner or manager of a business, condominium association or homeowner association, you undoubtedly have facilities experts who maintain the general plumbing and electrical systems, and upkeep of your building. 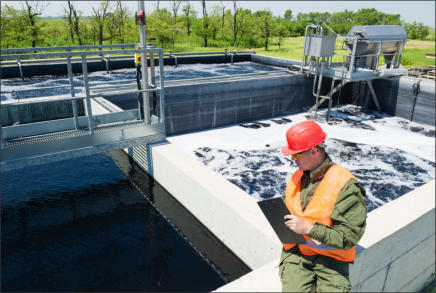 However, maintaining the pumps and treatment processes in your drinking water or wastewater facility typically falls outside the expertise of your staff. Lake Ozark Water & Sewer, LLC is a recognized leader with knowledge and expertise of drinking water and wastewater operation and maintenance. We often get calls for under-performing drinking water and wastewater systems or for those that have been cited by the Missouri Department of Natural Resources (DNR). The stories are similar; owners mistakenly assume their former service provider “had it covered,” and “no news is good news.” With Lake Ozark Water & Sewer, LLC, we make regular visits to your facility to make sure you are covered - everyday, if needed. In addition, we routinely provide written reports and schedule appointments with our clients to keep them informed and educated about the proper operation of their facilities. We do all required reporting to the Missouri Department of Natural Resources (DNR). We also make recommendations for enhanced maintenance schedules, as well as prudent repairs or capital improvements to ensure the long-term, efficient and reliable operation of your system. That is part of what makes Lake Ozark Water & Sewer, LLC your premier provider unparalleled experience and personalized attention to your complete drinking water and wastewater management needs. At Lake Ozark Water & Sewer, LLC, we take great pride in what we do. While you retain ownership of all assets, our approach to managing your facility is to treat your assets as though they are our own. We strive to provide you with thorough and environmentally compliant drinking water and wastewater facility operation and maintenance. Experience peace of mind knowing that Lake Ozark Water & Sewer, LLC will ensure your facilities are in compliance with the Missouri Department of Natural Resources (DNR) and are well maintained. Operations and Maintenance At Lake Ozark Water & Sewer, LLC, we know what it takes to manage and maintain your drinking water and wastewater operations. Count on the experts at Lake Ozark Water & Sewer, LLC to provide all of the services necessary to keep your drinking water and wastewater facilities running at maximum efficiency and reliability. As the owner or manager of a business, condominium association or homeowner association, you undoubtedly have facilities experts who maintain the general plumbing and electrical systems, and upkeep of your building. 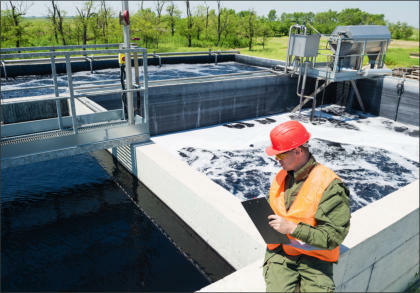 However, maintaining the pumps and treatment processes in your drinking water or wastewater facility typically falls outside the expertise of your staff. Lake Ozark Water & Sewer, LLC is a recognized leader with knowledge and expertise of drinking water and wastewater operation and maintenance. We often get calls for under-performing drinking water and wastewater systems or for those that have been cited by the Missouri Department of Natural Resources (DNR). The stories are similar; owners mistakenly assume their former service provider “had it covered,” and “no news is good news.” With Lake Ozark Water & Sewer, LLC, we make regular visits to your facility to make sure you are covered everyday, if needed. In addition, we routinely provide written reports and schedule appointments with our clients to keep them informed and educated about the proper operation of their facilities. We do all required reporting to the Missouri Department of Natural Resources (DNR). We also make recommendations for enhanced maintenance schedules, as well as prudent repairs or capital improvements to ensure the long-term, efficient and reliable operation of your system. That is part of what makes Lake Ozark Water & Sewer, LLC your premier provider unparalleled experience and personalized attention to your complete drinking water and wastewater management needs. At Lake Ozark Water & Sewer, LLC, we take great pride in what we do. While you retain ownership of all assets, our approach to managing your facility is to treat your assets as though they are our own. We strive to provide you with thorough and environmentally compliant drinking water and wastewater facility operation and maintenance. Experience peace of mind knowing that Lake Ozark Water & Sewer, LLC will ensure your facilities are in compliance with the Missouri Department of Natural Resources (DNR) and are well maintained.